Son of Gadhafi to Lead Fight Against ISIS Affiliate in Libya? That research is nearing completion and publication awaits DNA results from body samples more credible than the ones offered by the Bosnia laboratory two years ago and immediately demonstrated to be fraudulent. The story of why that particular lab was chosen and by who goes to the essence of the current stonewalling campaign with respect to informing the public about what exactly happened to Imam Sadr and his partners on 8/3l/1978 in Tripoli, Libya. It also identifies who instructed Gadhafi to kill them over the strong objections from the PLO’s Yassir Arafat who spoke with Gadhafi and tried to save the trio of Lebanese Shia. Libya may be the lowest hanging ripe fruit within easy reach of Da’ish (IS) and its growing number of affiliates, according to US Ambassador Deborah Jones during a recent visit to the US Embassy in Malta, to discuss her own problems in Libya which include the 8/31/14 take-over by al Fajr Libya (FL) of the US embassy compound barely a month after it was evacuated and moved to Tunisia for the second time since February of 2011. Secretary of State John Kerry reassured the media in Washington recently that “the embassy was not really closed, but had moved out of Libya”. One Religion Professor at Tripoli University joked last week that “Kerry is correct, the US embassy is here but it’s in a state of occultation. We can’t see it but it’s around and watches us.” A Libyan photographer who was at the embassy compound when Al Fajr Libya (FL) arrived reported that the Da’ish (IS) affiliate had moved into buildings inside the embassy complex claiming that they would ‘protect it’ as they carted off boxes of documents for ‘safe keeping.’ FL is described by a former Dean at Tripoli U. as between al Nusra and Da’ish (IS) with a fragile partnership between the two and presenting to the public “ A Good cop-Bad cop tag-team with differences to be worked out once all the infidels are vanquished. Libya is now moving beyond al-Qaeda of Bin Laden, Zawahiri, and Abdelmalek Droukdel, to Baghdadi’s ISIS and its widely perceived logical offshoot Islamic State in the Islamic Maghreb (ISIM-Damis) now expanding in North Africa and the Sahel. Former rebels who fought against Gadhafi have formed powerful militias and seized control of large parts of Libya in the past three years. Back in mid-august of 2011, the late American journalist Marie Colvin and I stood on the balcony of the Corinthia Hotel opposites the still empty Marriott where some kid was practicing sniping from the roof, at my expense, as I pointed out to Marie a body floating just off the beach of the Mediterranean across the road. We walked over and examined it and decided while it was dressed in religious garb the man may have been an army deserter; there were increasing numbers in those days, because of his military style boots. We alerted some militia guys driving along the corniche who said they would report the body and before long an ambulance did arrive. Two of the militia waded out waist deep and pulled in the bloated body to shore, unlaced his tan leather boots while holding their noses from the stench. They then threw the new boots in the back of their pick-up and drove off with no more than a smiling ‘shukran habibis’ (thanks dears). Later that day Marie and I counted a column of 143 pickups with AK-47 jubilant fist waving rebels entering along the coastal road toward downtown Tripoli having come from battles in the east around Misrata. Seif, has proposed talks and is ready to participate in bringing together Libya’s warring parties and aiding the transition to what he claims he was working on before the February 17, 2011 uprising in Benzhazi which quickly spread. Seif’s team would likely include his father’s cousin and confident Ahmed Gaddaf al-Dam, former Deputy Foreign Minister Khaled Kane, long-time Libyan diplomat, the widely respected Omar el Hamdi now is Cairo, and Seif’s sister Aisha, now living with his mother and children in the Gulf. Since Wednesday’s shooting, the notion that “Canada will never be the same again” has picked up steam. This cliche carries with it potentially dangerous implications. What happens next is not inevitable. It will be determined by Canadian society and by the political decisions that are taken in the weeks and months ahead. We must not succumb to Islamophobia and racism. We need not fall in line with Harper’s war abroad or new restrictions on civil liberties at home. In the wake of one gunman’s rampaging attack on Parliament Hill, media representations of events have both short- and long-term consequences. In the digital age, the pressure for outlets to produce instant news and clickbait headlines can have toxic consequences. We can and must do better than breathlessly rushing to publish “unconfirmed reports” or lazily repeating racist tropes in place of sober analysis. This attack, and the one on Canadian soldiers in St. Jean sur Richelieu, Quebec, two days earlier, came the very week that the Harper government was introducing legislation to grant expanded powers to CSIS. We must not allow the Charter of Rights and Freedoms to become another victim of these attacks. Successive Canadian governments have already implemented repressive legislation in the name of fighting terror, yet measures such as security certificates and secret trials have not made us safer. Rather than stoking or amplifying prejudices and fears, the role of media in these times should be to provide verified information and present alternative perspectives, especially from Arab, Muslim and other racialized communities. History reminds us of the extreme danger that lies in scapegoating or holding collectively responsible any minority group for the pathologies and crimes of individuals. Successive Canadian governments have already implemented repressive legislation in the name of fighting terror, yet measures such as security certificates and secret trials have not made us safer. We have powerful evidence from south of the border that the so-called War on Terror is a self-perpetuating disaster. New wars, occupations and drone attacks have wreaked havoc and only expanded the breeding grounds for new fundamentalist groups bent on committing sectarian atrocities and encouraging terrorist actions. Some pro-war voices will argue it’s too soon to talk about Canadian foreign policy. Nonsense. Only the willfully ignorant neglect root causes, and reporting and analyzing the death and destruction wrought by bombs and bullets in Afghanistan, Libya, Iraq and Gaza in no way diminishes our sympathy for the victims of Wednesday’s shooting in Ottawa. The media has, for the most part, failed to be critical of the Harper government’s militarism. After this week’s crimes, there will be increased pressure to limit critiques of Canadian state violence — whether as part of NATO bombing missions overseas or against Indigenous nations here — in the name of unity. But however united we are in feeling disgust, shock or grief, there can be no unity behind the Harper government, its corporate agenda or its reckless and aggressive foreign policy. Doubling down on this sabre rattling is not our only option. A decade ago, the Spanish people gave us an example of a powerful alternative. After the 2004 Madrid subway attacks and the right-wing government’s clumsy efforts to link them to Basque separatists, millions mobilized in the streets against the government, and then at the ballot box to throw the government out of power. Contra Harper, now is the time to “commit sociology.” It is also the time to commit criminology, to commit history and of course to commit journalism. We need dissent, reasoned analysis and critical debate now more than ever. And that is what Ricochet will strive to provide over the coming days. We hope you’ll join us. Here it comes. Creeping down dark alleys. Overturning garbage cans and spooking black cats. The scariest day of the year. With the exception of your next birthday, that is. Halloween. All Hallow’s Eve. The night preceding All Saint’s Day. Time to carve a gourd. Besides being an excellent excuse to gorge on candy corn and toffee apples it is also an occasion used by many religions to honor deceased relatives by placing lighted candles on the graves of the dead. Probably where that whole ghosts and witches and ghouls and devils thing got started. How pink princesses, Ninja Turtles and Mickey Mouse got thrown into the mix, is anyone’s guess. Supposedly, Celtic pagans (or is it pagan Celtics) originated the merrymaking way back in the BCs with something called Samhain, a harvest festival halfway between the autumnal equinox and the Winter Solstice. Designed as a blowout before the onset of winter, (Winter is coming!) it featured much feasting and not a little drinking, if you catch my drift. There very well may have been carousing. Not to mention reveling and frolicking. These were pagans, after all. Then around the 8th century, Catholics introduced All Saints Day into their liturgical calendar to honor dead saints: just happening to coincide with the extant partying. So all good little Christians could still have their fun honoring dead people; but do it in the name of the Lord instead of some Wicker Guy destined to burn up in a big bonfire. If you can’t beat em, conjoin em. Today Halloween has morphed into a hodgepodge of ever evolving rituals including scary movies and wearing costumes and traipsing door to door begging for treats and threatening to play tricks if none are given. Behavior, seemingly leaked over from Halloween’s holiday neighbor: Election Day. In some municipalities the orange and black has become nothing less than a loosely organized bacchanalia. (named after Bacchus, one of the old gods of which we previously spoke) Entire districts of whole towns given over to mass feasting and much drinking and very definitely- carousing. Because we are the neopagans. Of course, for those living in San Francisco and New Orleans, Halloween is redundant. It is a murky and confusing time, which may come from October and November stemming from the words eight and nine, but being the tenth and eleventh months of the year. For this we can thank Julius, that wacky Emperor, who altered the Roman calendar from 10 months to 12, naming one of them after himself. And his buddy Augustus. It was a Caesar thing. Like a salad. Then, when Halloween ends, the black and orange will be taken down and the red and green will go up. And every third radio station will begin playing non- stop Christmas songs. Another Christian celebration merging with a pagan one. Saturnalia was held following the solstice to celebrate the dragon not eating the sun, and the return of the light. Again: pretty much exactly what Christmas is all about. Then down the line, there will New Year’s Eve, and both it and Christmas and Thanksgiving, will all be observed by a whole lot of feasting and not a little drinking. Not to mention carousing, reveling and frolicking. Oh, my, yes, there will be frolicking. Anyone beginning to detect a pattern here? Will Durst is an award- winning, nationally acclaimed political comic. Go to willdurst.com for more about the documentary film “3 Still Standing,” at the Austin Film Festival this week and a calendar guide to personal appearances such as his hit one- man show “BoomeRaging: From LSD to OMG”. [An] "Endless flow of [Ukraine government] military columns moves towards Donetsk and Makeevka areas and towards Gorlovka area. Troops are being moved at ever increasing pace. "At the same time they engage in massive use of heavy MLRS fire, heavy artillery and tactical missiles “Tochka-U” (SS-21 Scarab B) [a tactical ballistic missile - see Ukraine Firing Ballistic Missiles - Obama-Kerry Say Nothing]. Strelkov believes that heavily populated areas of Donetsk and Makeyevka are the targets. The Kiev government will create a false-flag, according to this scenario, with the aim of a "swift and decisive" victory. If things go according to plan, the largest population area of Novorussia will be under putative Ukrainian government control. The Saker notes that a defeat may be as good as a victory for Ukraine if it draws Russia into military assistance for the major population areas under attack. Contrary to the claims of Operation Mockingbird style propaganda machine in the mainstream media, Putin is not an absolute dictator. He faces pro US and EU oligarchs who want give the West whatever it wants in return for their own gains and right-wing nationalists who see Putin's failure to intervene to assist Novorussia as bordering on treason. Should Ukraine gain a military advantage by devastating civilian areas, the pressure on Putin to intervene will be overwhelming. A Russian intervention would achieve the overall goal of restarting the Cold War and filling the coffers of the U.S. military industrial complex. Shortly after his election in late May, President Poroshenko beefed up the "anti terrorist operation" (ATO) against the eastern Ukraine, particularly the Donetsk and Lugansk regions. Under his predecessor, interim acting President Olexander Turchynov, ATO troops were greeted on occasion by derisive citizens who stood their ground and cajoled them into abandoning their equipment. When U.S. favorite Poroshenko took over, the ATO, more accurately anti-citizen operation, ramped up with heavy artillery attacks on towns and cities killing and maiming civilians and destroying homes and critical infrastructure. The rapidly formed Novorussian militias quickly became a highly motivated and effective fighting force aided by supplies spirited across the Russian border. The headlong attacks by Ukraine regular troops and fascist irregulars (punitive battalions) were encircled by Novorussian forces creating cauldrons where Ukraine soldiers had two choices - death or surrender. This successfully repeated tactic resulted in a shift of momentum plus a string of impressive victories for the resistance resulting in a desperately sought ceasefire by Poroshenko in September. The U.S. led the effort to create a virulently anti Russian government in Ukraine through years of fieldwork and funding. The Euromaidan protests and extremist government installed after those protests were the culmination of decades of U.S. foreign policy. Finally, the Cold War - military industrial complex patrons and front men achieved their goal. Ukraine was soon to join the European Union, then NATO, and Russia would be contained as a regional, not global power. To understand how a great power reacts to a hostile power's incursion in its territory, recall the 1962 Cuban Missile Crisis after it was discovered that the government of the USSR had placed nuclear missiles in Cuba. We nearly had a nuclear war. What twisted logic occupied the Obama administration and his two war loving secretaries of state, Hillary Clinton and John Kerry? Certainly, they didn't want nuclear war. Obama even said that no U.S. ground troops would not assist the Ukraine government. What Obama did say was Russian action risked a new Cold War. This was echoed throughout the country by a congressional chorus of the usual male hysterics. And, what does a new Cold War mean? A payday beyond dreams for defense firms and their major investors. As Gore Vidal pointed out, there is just one party, the property (money) party. It has Republican and Democratic wings. However, on the big issues, everyone agrees -- the threat of war, even a cold one, is good for the war business and its major investors. Think of the new Cold War as socialism for the very rich while successive administrations offer the vast majority of citizens a healthy dose of survival of the fittest. Milan Kohout is a thinker, performer, and professor. He was born in Czechoslovakia, where he lived before signing of ‘Charter 77’, and immigrating to the United States, where he became a naturalized US citizen. Mr. Kohout got thoroughly disappointed with capitalism, and the Western regime. For years and decades he has been performing all over the world, confronting Western imperialism, racism, capitalism and all the world’s religions, particularly Christianity, frontally. The Discussion took place on October 12, 2014, in Klikarov, a small village in West Bohemia. Vltchek came to Czech Republic in order to give a political lecture at the Faculty of Philosophy and Arts in the city of Pilsen, where Kohout teaches. Both of them drove to a tiny and remote village of Klikarov, in West Bohemia, where they sat by a fishpond, and engaged in a discussion about toxicity of Western imperialism, capitalism and European/US propaganda. He added that the US has been trying to create the world “for their own gains." The Russian President added that because of this, regional and global security had been weakened. During his speech, Putin used the Russian version of the Latin phrase, “Quod licet Iovi, non licet bovi” (what is allowed for god, is not allowed for cattle,) alluding to the double standards used by Washington. Putin also touched on the issue of the growth of Islamic State in Syria and Iraq, and also accused the West of, "turning a blind eye," to the encroachment of international terrorism into Russia and Central Asia. Putin believes the US has played a considerable role in sponsoring the growth of Islamic extremism, using the example of Washington's funding of the Mujahidin in the Afghan-Soviet war in the 1980's, which eventually gave birth to the Taliban and Al-Qaeda. Relations between Russia and the US have been plummeting for months; however Vladimir Putin accused the US of using the EU to further its own gains against Russia. He hit out at the numerous sanctions that have been imposed on Moscow, saying, "This was a mistake, which has a knock-on effect on everyone." “The USA, which has implemented sanctions against Russia, is sawing at the branches, upon which they are sitting,” President Putin added. "We have been trying to discuss the Ukraine issue with the EU for a long time, but we were told this was none of our business. They then put two countries against each other, which has led to countless destruction of infrastructure. When I asked why did they do this, they just shrug their shoulders and don’t have an answer," Putin added. President Putin made reference to the ‘Bear’ defending its territory to take a swipe at the US for its continued encroachment towards Russia’s territory. “He is considered the owner of the Taiga, but he, I know for a fact, does not want to go to a different climatic zone, as it is uncomfortable for him there. However, he will not give it to anyone else; I think that this should be clear,” he said. "Russia has made its choice – we want to develop our economy and develop democratic values. We work with our counterparts in the Shanghai Cooperation, the BRICS union for example. We want our opinions to be respected likewise. We all need to be cautious to not make hasty and dangerous steps. Some of the players on the global front have forgotten about the need for this," he said in another barb directed at Washington. On August 9, 1983, three people dressed as U.S. soldiers saluted their way onto a U.S. military base and climbed a pine tree. The base contained a school training elite Salvadoran and other foreign troops to serve dictatorships back home, with a record of nightmarish brutality following graduation. That night, once the base's lights went out, the students of this school heard, coming down from on high, the voice of Archbishop Oscar Romero. "I want to make a special appeal to soldiers, national guardsmen, and policemen: each of you is one of us. The peasants you kill are your own brothers and sisters. When you hear a man telling you to kill, remember God's words, 'thou shalt not kill.' No soldier is obliged to obey a law contrary to the law of God. In the name of God, in the name of our tormented people, I beseech you, I implore you; in the name of God I command you to stop the repression." The three in the tree with the loudspeaker weren't soldiers – two of them were priests. The recording they played was of Archbishop Romero's final homily, delivered a day before his assassination, just three years previous, at the hands of paramilitary soldiers, two of whom had been trained at this school. Fr. Larry Rosebaugh, (who was killed in Guatemala on May 18, 2009), Linda Ventimiglia, and Fr. Roy Bourgeois, (a former missioner expelled from Bolivia who was later excommunicated from the Roman Catholic Church because of his support for women’s ordination) were sentenced to 15 -18 months in prison for the stirring drama they created on the base that night. Romero's words were heard loud and clear, and even after military police arrived at the base of the tree and stopped the broadcast, Roy Bourgeois, who would later found a movement to close the school, continued shouting Romero's appeal as loudly as he could until he was shoved to the ground, stripped, and arrested. As we approach the nightmare of renewed, expanded U.S. war in Iraq, I think of Archbishop Romero’s words and example. Romero aligned himself, steadily, with the most impoverished people in El Salvador, learning about their plight by listening to them every weekend in the program he hosted on Salvadoran radio. With ringing clarity, he spoke out on their behalf, and he jeopardized his life challenging the elites, the military and the paramilitaries in El Salvador. I believe we should try very hard to hear the grievances of people in Iraq and the region, including those who have joined the Islamic State, regarding U.S. policies and wars that have radically affected their lives and well-being over the past three decades. It could be that many of the Iraqis who are fighting with Islamic State forces lived through Saddam Hussein’s oppression when he received enthusiastic support from the U.S. during the Iran-Iraq war in the 1980s. Many may be survivors of the U.S. Desert Storm bombing in 1991, which destroyed every electrical facility across Iraq. When the U.S. insisted on imposing crushing and murderous economic sanctions on Iraq for the next 13 years, these sanctions directly contributed to the deaths of a half million children under age five. The children who died should have been teenagers now; are some of the Islamic State fighters the brothers or cousins of the children who were punished to death by economic sanctions? Presumably many of these fighters lived through the U.S.-led 2003 Shock and Awe invasion and bombing of Iraq and the chaos the U.S. chose to create afterwards by using a war-shattered country as some sort of free market experiment; they’ve endured the repressive corruption of the regime the U.S. helped install in Saddam’s place. The United Nations should take over the response to the Islamic State, and people should continue to pressure the U.S. and its allies to leave the response not merely to the U.N. but to its most democratic constituent body, the General Assembly. No soldier is obliged to obey a law contrary to the law of God. In the name of God, in the name of our tormented people, I beseech you, I implore you …I command you to stop the repression. The war on the Islamic State will distract us from what the U.S. has done and is doing to create further despair, in Iraq, and to enlist new recruits for the Islamic State. The Islamic State is the echo of the last war the U.S. waged in Iraq, the so-called “Shock and Awe” bombing and invasion. The emergency is not the Islamic State but war. We in the U.S. must give up our notions of exceptionalism; recognize the economic and societal misery our country caused in Iraq; recognize that we are a perpetually war-crazed nation; seek to make reparations; and find dramatic, clear ways to insist that Romero’s words be heard: Stop the killing. 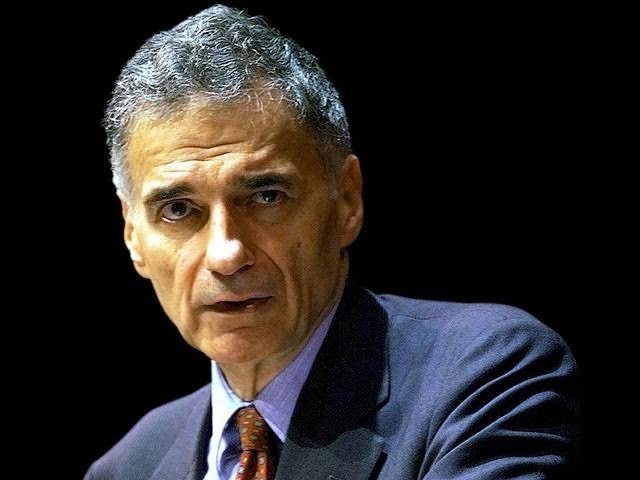 We got the following op-ed published in Japan’s Asahi Shimbun this week, co-signed by Ralph Nader from Public Citizen and Koa Tasaka from Consumers Union of Japan. It was written in response to a column that made unsubstantiated claims about TPP and consumers. As consumer movement leaders in the U.S. and Japan, we agree that it is crucial that both countries prioritize consumer interests. However, we strongly disagree with the editorial’s unsupported assumption that the Trans-Pacific Partnership (TPP) as it is currently being negotiated would benefit consumers. What is important to consumers? Healthy and safe food. Banking and insurance services that protect their financial well-being. Affordable medicines and health care. Access to an open Internet and privacy protections. A clean environment. From what we know about the TPP text, it would undermine these critical consumer priorities, not promote them. Consider who has had the greatest influence on the TPP. Almost all of the 500 official U.S. private sector trade “advisors” represent corporate interests. While agribusiness, Wall Street, and pharmaceutical interests have had special access to the process and negotiating text, representatives from consumer, health, and other public interest organizations have been left in the dark. Even members of the U.S. Congress cannot easily access the draft text. Similarly in Japan, elected members of the Parliament are unable to provide any constructive input to the negotiations. Due to the extreme secrecy of the negotiations, it is impossible to know everything damaging to consumers that may be included in the TPP text. However, leaked draft texts of some of the chapters have confirmed that the TPP rules would benefit large multinational corporations at the expense of consumers. The leak of the TPP’s environmental chapter shows that the U.S., which is not a party to United Nation conventions such as the Climate Change Convention or the Biological Diversity Convention, will do everything it can to use TPP to continue to avoid rules suggested by the international community. This brazen infringement of national sovereignty has been used under NAFTA and other treaties by corporations to attack toxics bans, nuclear energy phase-outs, tobacco regulation, unsafe food import bans, financial stability measures, water and timber policies, mining safety rules, fracking bans, and more. The cases are heard by three private-sector lawyers, many of whom are in a conflict of interest as they rotate between serving as “judges” and suing governments for corporations. These cases cannot be appealed and there is no limit on what the tribunals can order governments to pay. This is corporate supremacy run amuck. Under U.S. trade agreements alone, governments have been ordered to pay more than $430 million in compensation to corporations – with $38 billion more in claims now pending. And in some cases governments have also eliminated important consumer safeguards to avoid paying more. Or, to avoid threatened challenges, governments have been “chilled” from taking action, such as after R.J. Reynolds threatened Canada when it was considering stronger tobacco regulation. ISDS is not the only anti-consumer aspect of the TPP. As well, a leaked draft of the Intellectual Property chapter revealed that TPP would expand the scope of medicine patents and strengthen drug monopolies, increasing the consumer price of crucial drugs. The TPP would also require countries to allow the importation of food that does not meet domestic safety standards. Under the Sanitary and Phytosanitary chapter, food labels providing important information for consumers could be challenged as a trade barrier, including labels for Genetically Modified Organisms (GMOs). This is completely unacceptable in Japan, where we are asking for better protection of biological diversity, and Japan’s mandatory labeling rules should be improved, not challenged. Despite the lessons learned from the global financial crisis, the TPP’s Financial Services chapter would limit our governments’ ability to regulate to preserve financial stability and protect consumers’ hard-earned savings. Draconian copyright provisions pushed by Hollywood could jeopardize consumers’ access to information on the Internet. These are just a few examples of crucial consumer policies that could be jeopardized by the TPP in its current corporate dominated form. So, yes, the U.S. and Japan have an obligation to protect consumer interests within an open democratic process. However, the TPP negotiations are achieving the opposite, posing a dire threat to consumer protection and the public interest. That is why many of the largest consumer organizations in the U.S. and Japan are vehemently opposed to the TPP’s dictatorial impacts. Reaction to the violence in Ottawa involving the killings of two officers. Canada's prime minister has called the most recent shooting "the country's second terrorist attack in three days." and Urban Nerds: @urban_nerds for our creative services. (Ottawa) - The Canadian Government has failed to respond to a decade’s worth of recommendations to prevent and provide effective recourse for harms related to Canadian mining operations in Latin America and the Caribbean, according to a report by the Canadian Network on Corporate Accountability (http://cnca-rcrce.ca/) that will be presented in a public hearing before the Inter American Commission on Human Rights (IACHR) in Washington, D.C. on Tuesday, October 28th. MiningWatch Canada, Osgoode Hall’s Justice and Corporate Accountability Project (http://justice-project.org/) (JCAP) and the Canadian Centre for International Justice (http://www.ccij.ca/index-e.php) (CCIJ) will make presentations at the hearing. The Commission has requested the presence of the State of Canada, but it is not clear if they will participate. According to documented evidence, systematic abuses have been taking place against Indigenous and non-Indigenous communities, workers and the environment involving Canadian companies operating in Latin America and the Caribbean with strong support from the Canadian government. The report calls on the Canadian government to take measures to help prevent further harm, including to stop directing overseas development aid and diplomatic services toward the promotion of large-scale mineral extraction overseas. Further, it should enact legislation such that Crown corporations, particularly those that finance and hold equity in companies, comply with international Indigenous and human rights obligations. The report also underscores the need for legally binding standards and effective recourse to address the negative impacts that mining is having on communities, workers and the environment because voluntary standards and other existing measures fall short. This hearing is part of the 153rd Period of Sessions of the Inter American Commission on Human Rights (http://www.oas.org/es/cidh/sesiones/docs/Calendario-153-audiencias-es.pdf) (IACHR). The IACHR is a regional human rights body and an autonomous organ of the Organization of American States. It holds hearings twice a year, in the fall and in the spring. In October 2013, the IACHR heard from the Working Group on Mining and Human Rights in Latin America (http://upsidedownworld.org/main/international-archives-60/4874-digging-up-the-dirt-on-canadian-mining-in-latin-america) about systematic Indigenous and human rights violations against mining-affected communities. The Working Group profiled 22 case studies involving Canadian companies with strong support from the Canadian state and observed a troubling pattern of abuses. This hearing comes on the heals of the defeat of Ombudsman Bill (Bill C-584) in the Canadian House of Commons (http://cnca-rcrce.ca/mining-oversight-bill-defeated-by-government-despite-widespread-public-support/) . Tabled by Quebec MP Ѐve Péclet, the bill called for the creation of an independent extractive sector ombudsman with power to investigate and make recommendations regarding the human rights impact of Canadian mining companies operating abroad. WHO: Representatives from MiningWatch Canada, Osgoode Hall’s Justice and Corporate Accountability Project (JCAP) and the Canadian Centre for International Justice (CCIJ) will make presentations. The Commission has requested the presence of the State of Canada, but it is not clear if they will participate. WHEN & WHERE: Tuesday, October 28 from 10:45am to 11:45am in the Ruben Dario Room (Eighth Floor), Inter American Commission on Human Rights (http://www.oas.org/en/iachr/) (1889 F St. N.W., Washington D.C.). The event will likely be videotaped and livestreamed for which available links will be provided prior to the hearing. Police State North: Can Ottawa Attack Kill Canadian Democracy? Powell River, British Columbia - I expect that the reaction of most Canadians to the deadly attack on Parliament Hill (the home of our Parliament Buildings which house both the Senate and the Commons) was similar to mine: a sick feeling in the pit of my stomach, a reaction that was not political but just human. My next reaction was: it has finally happened, as if I knew it had to in these days of the ‘war on terror.’ Given Canada’s recent role in the Middle East it is a miracle it hasn’t happened before. All sorts of clichés seem to come to mind in moments like this – a “loss of innocence” being one of them. And to some extent this is accurate. Those who have visited Ottawa and the Parliament Buildings will remember by how quiet and benign is the sensibility of the place – with a huge stretch of lawn separating the street from the magnificent stone edifice, dominated by a soaring tower. It is almost bucolic. People regularly picnic on the lawn and play Frisbee. They also engage in demonstrations against the government of the day, or for some policy they care passionately about. There has been a deliberate attempt over the decades to make people feel that this really is their place (even if in terms of progressive public policy it rarely has been). I think that what makes such terrorist incidents so profoundly disturbing is that they involve ordinary Canadians who suddenly transform into killing monsters effectively willing to commit suicide. For what? Sudden shootings never seems quite so disconcerting when the person is clearly unbalanced or somehow provoked by circumstances. But someone killing for a religion is new and inexplicable. It leaves people off balance. But the loss of innocence this is only partly accurate because it is now increasingly a myth and the “ownership” of the place even more of a delusion. While not exclusively the fault of the current prime minister, Conservative Stephen Harper, many will put the largest part of the blame on his efforts to transform Canada from a moderate, middle power with a history of virtually inventing UN peacekeeping, into a shrill, warmongering nation ever ready to rattle its (insignificant) sabre at any opportunity. We may never know whether this attack has anything to do with ISIS and Canada’s decision to join the bombing campaign (six fighter bombers for six months) and send military advisors to Iraq. But just last week another Islamist convert ran over and killed a Canadian soldier in Montreal (injuring a second soldier) – and he did so explicitly as revenge for Canada’s role in fighting ISIS. The demonic nature of Islamist terror is that the now-dead terrorists didn’t have to have any actual connection with ISIS. All they had to do was “believe,” listen to and read the ISIS propaganda and take matters into his own hands. These are sleeper agents that the mother ship doesn’t even know exist. Harper, in what has become a standard adolescent response to events in the Middle East, bravely declared he would not be “cowed by threats while innocent children, women, men and religious minorities live in fear of these terrorists.” In a to-hell-with-the-consequences determination and despite a laughably minuscule force, off we went to war yet again. And all for domestic political consumption. To their credit the opposition parties in Parliament, the NDP and the Liberals, voted against the mission for most of the right reasons: what was the mission, what were the expectations of success, how was success even being defined, and why six months when virtually all analysts suggest the ISIS threat will be with us for a very long time. Not one of these questions was answered and instead the questioners were treated to the usual contempt from our narcissistic prime minister. And the failure of imagination is replicated year after year in the White House and in the Strangelovian world of NATO – and now Canada. Imperial hubris, willful ignorance and breathtaking incompetence accompany it on its journey to permanent catastrophe. And Stephen Harper has, as he likes to say, been punching above his weight in this dance of idiots. He enthusiastically bombed Libya, handing over thousands of tonnes of sophisticated weapons to another branch of radical Islamists, he gives Israel absolute carte blanch in its savaging of Palestinians (In the last invasion of Lebanon, Israel deliberately targeted a UN bunker with over a dozen bombing runs, killing a Canadian soldier. Harper refused to comment.) and he tweaks the tail of the ISIS tiger. The more frightening interpretation of Harper’s mentality relates to his determined expansion of the security and surveillance state in Canada. His efforts to equate environmentalists with terrorism and treason, his abuse of power in targeting of dissent from any quarter, his relentless attack on the institutions of democracy suggest that he may just welcome the political aftermath: a population more willing to give up its civil liberties, more prone to stay home rather than demonstrate and a Parliament more willing to increase funding and authority to security agencies. A member of Canadian Security and Intelligence Service our CIA equivalent – said in response to the shooting: “This will change everything.” He was a little too eager in his pronouncement, perhaps anticipating a greater role, more resources and new laws to control dissent. And, of course, he didn’t mean it would change our irresponsible foreign policy. Every effort will be made to portray an amateurish attack, facilitated by a stunningly incompetent security service, as a game changer. We will see in the months ahead if Canadian citizens are up to the challenge of rejecting this self-serving police state rhetoric.